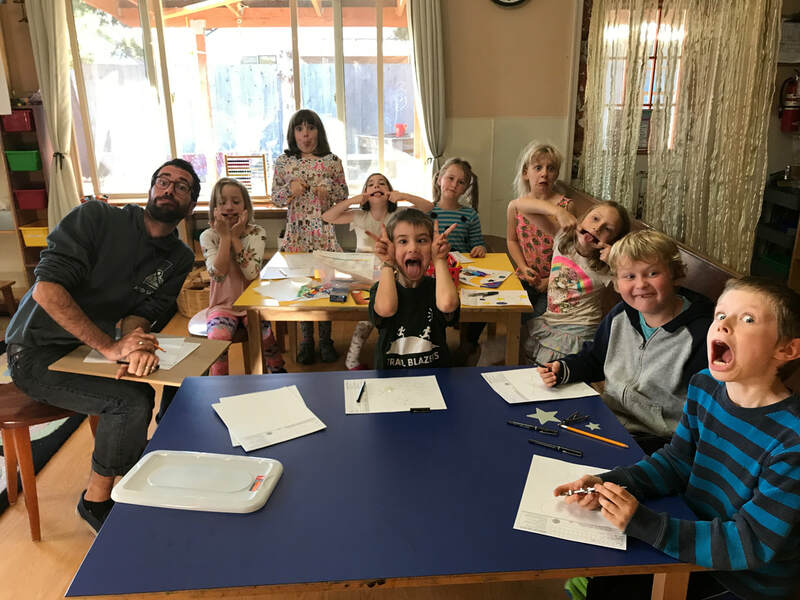 We provide a supportive, unhurried, and non-judgmental environment, with focus on the arts; visual, music, dance and theater and self-expression. We are a Multiple Intelligence School that puts a strong focus on a well rounded education. Art is incorporated into their daily lesson plans, and we often try to create interdisciplinary connections between the students' art lessons and their other classes. A process-oriented approach, not ‘product’, but an opportunity to explore a medium with the satisfaction of involvement. We hope children will begin to comfortably use different media to articulate themselves, their emotions and ideas. We provide a variety of arts materials for the students free use and celebrate creativity!